A good weekend of fishing ahead. Lets hope that after this bit of a blow we have just had that we get back to the excellent fishing we have had for the previous few weeks. The water has cleared to a nice level now, so we should see the bream and Mackerel fishing getting back to what we would expect at this time of year. There are some huge shoals of Mackerel both close inshore and further out allowing the boat anglers to finally get some decent numbers. I apologise for the lack of photographs at the moment, but having abused my DSLR camera with salt water for the past year, it has decided to die on me. Hopefully I will have a replacement soon. Chesil Beach: slight swell with lightly coloured water. 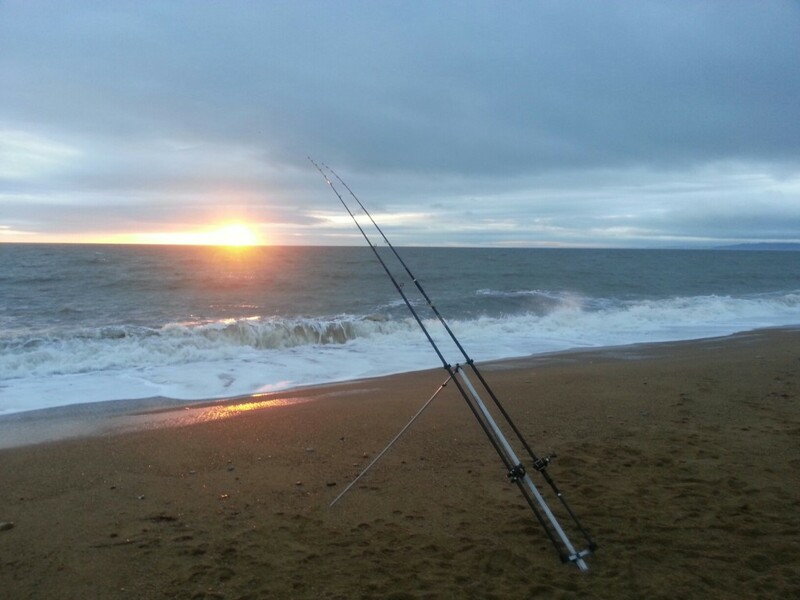 Chesil Beach forecast: Time to get back on the beach and fish! I would expect all the species such as Bream, Gurnard and even Red Mullet to still be around after the rough weather. Expect plenty of Mackerel all along the beach. Large shoals of Scad and Garfish should show on Chesil any time now. The Scad normally move in at dusk. Portland: Wrasse fishing should be very good from all around the Island. The Wrasse normally feed aggressively after unsettled conditions. I am hoping that these larger tides will bring Pollock back to the shore marks. Portland Harbour: Big tides normally produce some good fishing within the harbour. Marks like Ferrybridge will produce Bass, Pollock, FLounder and Wrasse. There is always the chance of a Gilthead Bream. Fishing Tails > All Articles > Reports > Chesil Beach > A good weekend of fishing ahead. One Response to "A good weekend of fishing ahead." Can not wait I am on holiday next week.